What’s better than experiencing Land and Sea tour from a same vehicle? Come and enjoy the beautiful views of Honolulu from Oahu’s only amphibious duck! The Duck is an amphibious open-air vehicle that is both a bus and a boat. 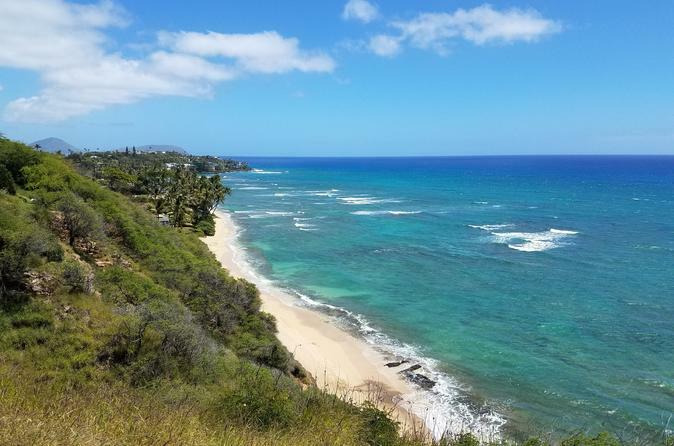 The tour is approximately 75 minutes total which includes the scenic drive through Waikiki, Diamond Head, and Ala Wai Blvd, with an approximately 30-minute water tour from Ala Wai Yacht Harbor. You have options to be picked up from 3 convenient locations (Hyatt Regency on Koa Ave. or Ilikai Hotel). After departure, your experienced con”DUCK”tor will narrate the tour as your Duck cruises through many of Waikiki's landmarks. From Diamond Head lookout, you may be able to see Molokai Island on a sunny day or feel the tradewinds with a panoramic view of Koolau mountain. Your Duck will then head to Ala Wai Yacht Harbor, where you will brace yourself as the Duck splashes into the ocean. Don’t worry, you won’t be wet. Enjoy the breath-taking aftrenoon sun with the contrast view of ocean and sky-scrapers. Bring your sun-glasses, sun screen, and a bottle of water. After the water tour, you will return to the pick-up location.